Touchpoints deals with the unseen world - our emotions - which is linked with our physical world through words. To some, these emotions can be small or seem trivial, while to others they are "heart crushing." 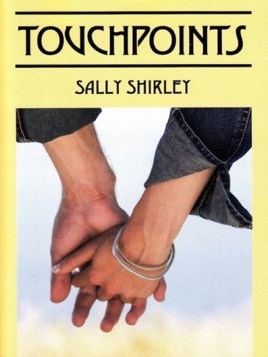 Another reviewer felt that Touchpoints had two rhythms: "some of the poems are very steamy and adventurous, whereas a large group of others convey mad and resentful feelings. The lighter poems are very inspiring and extremely insightful..."
These poems are not for the faint of heart. One reviewer noted that while he was able to "read it quickly and easily, which is hard for me," he also "dared the weak to take this walk!" You will see yourself in Touchpoints. Or your friends. Or your family. This is a book about real people and real situations. It will touch your heart, or curl your toes. Either way, it is a good read.